Set in Norway during the Viking Age and the late 9th century, The Saga of Ulvhedin tells the story of Ulvhedin Aunsson, a fearsome warrior. Amidst the power struggles of kings and earls for sole rulership over Norway, Ulvhedin is set on his own battle. Fighting as one of King Harald Halvdansson’s men, Ulvhedin acts as a spy and assassin. 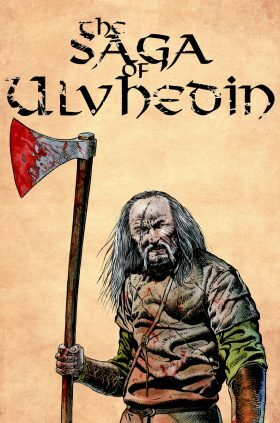 Believing himself to be sent by the Norse god Odin to revenge the slaughter of his family, Ulvhedin uses his position to hunt down his enemies, killing them one by one. However, as King Harald faces enemies from Denmark, England, Ireland and France in the fight to win his kingdom, Ulvhedin realizes that danger lurks everywhere – even among friends.